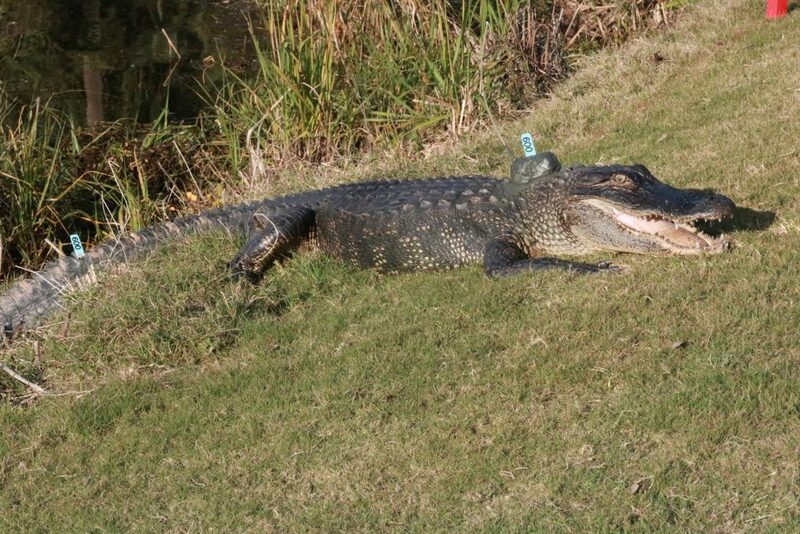 If you observe a tagged alligator, please report the sighting to Town Biologists. The simplest way is to use the Town’s online application. Simply open the map, zoom to the sighting location, click the small alligator icon in the upper right hand corner, and follow the on-screen instructions. You can also report a sighting by emailing Jim Jordan with details of the sighting (Date, Time, Location, Behavior, Tag Number and Color). 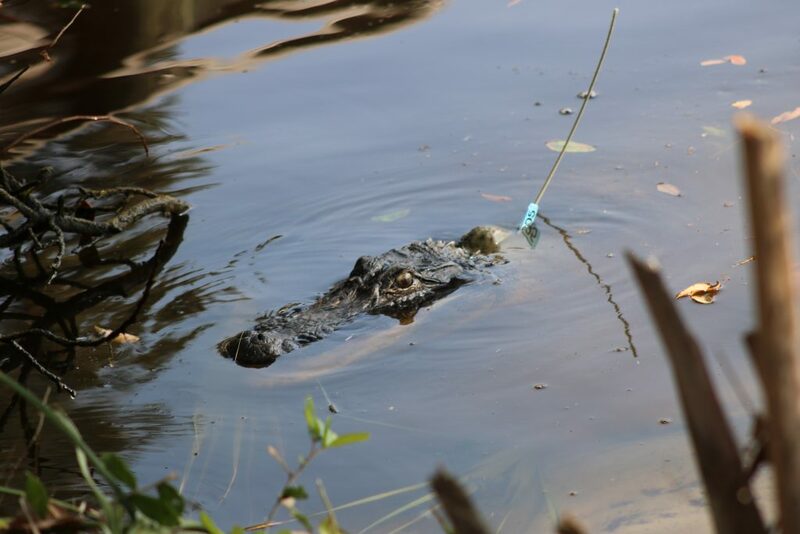 The Kiawah Conservancy, in partnership with TOKI, KICA, the Medical University of South Carolina (MUSC), and Clemson University began an alligator study in 2015, focusing primarily on alligator health and physiology. The Clemson study continued during 2016-2017 and 39 alligators have been captured to date. This new TOKI/KICA study will take advantage of these capture efforts to obtain additional information on alligators. 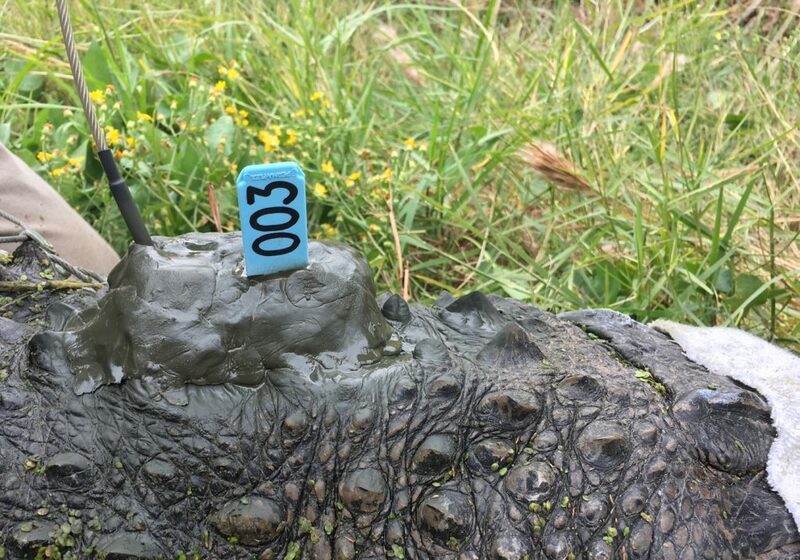 All captured alligators are fitted with visible, numbered tags so that they can be easily identified in the field by biologists, residents, and visitors. 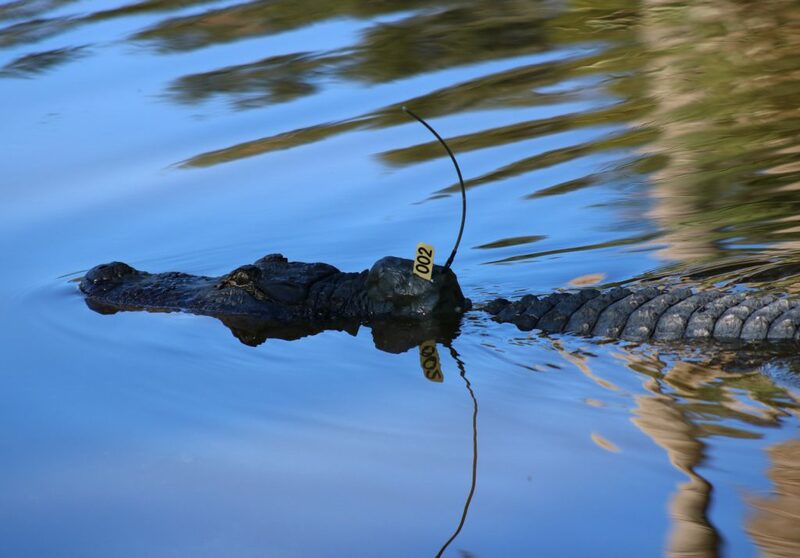 Two visual tags (blue for males, yellow for females) are placed on each alligator, one behind the head and one on the tail. Capture efforts focus on areas where nuisance alligators are the most prevalent, typically near popular fishing and crabbing locations. Several recent studies have suggested that capturing and handling alligators increases their fear of people, thereby, reducing human/alligator conflicts. 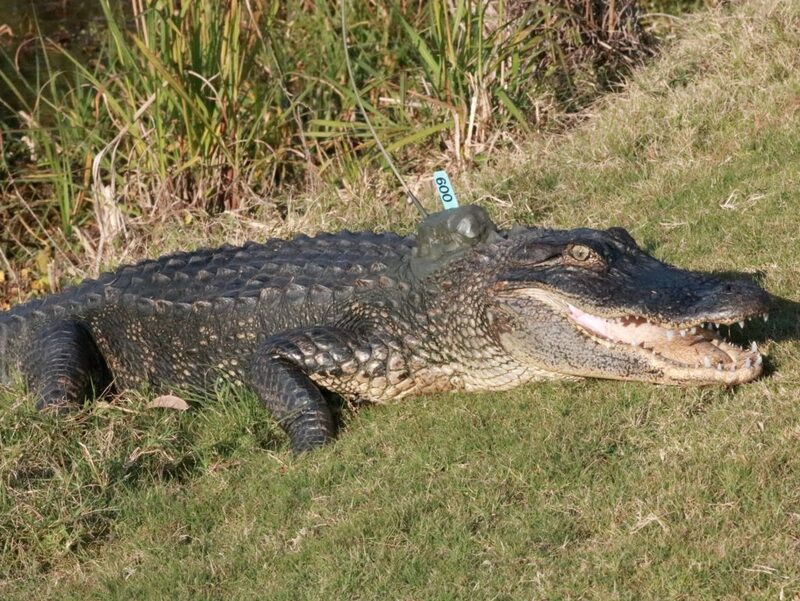 Observations of tagged animals will allow biologists to document changes in alligator behavior after capture. 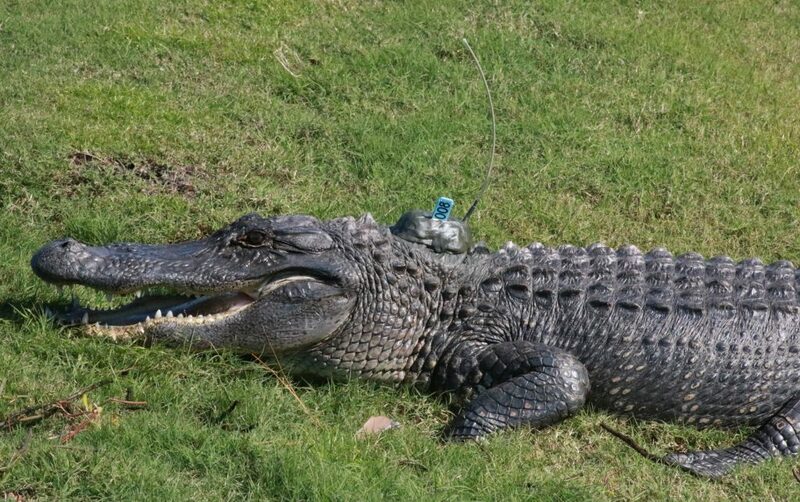 In addition to visual tags, a subset of 12 alligators were fitted with VHF transmitters in 2016. 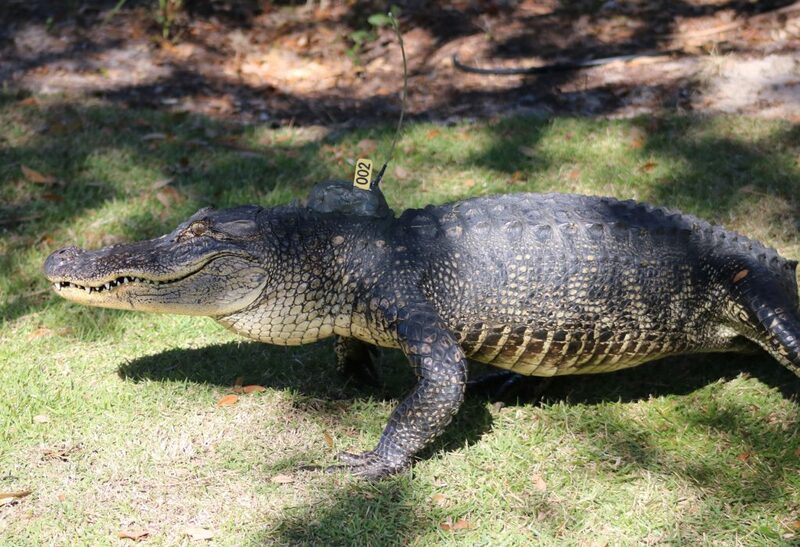 In addition, 5 alligators were fitted with GPS tags in 2017. 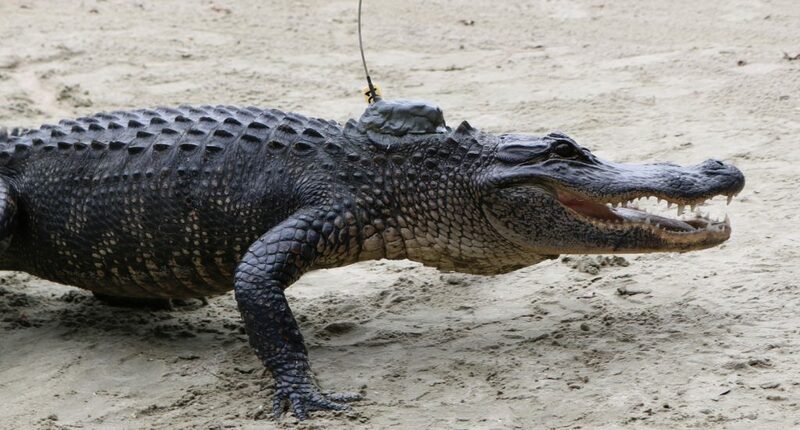 Location data will help biologists begin to understand movement patterns, home range size, and post-capture response of alligators on the island. STAY AT LEAST 60 FEET (4 CAR LENGTHS) AWAY FROM ALLIGATORS. DO NOT CRAB OR FISH NEAR ALLIGATORS. DO NOT THROW USED BAIT OR FISH PARTS BACK INTO WATER AFTER FISHING OR CRABBING. DO NOT THROW OBJECTS AT ALLIGATORS OR HARASS THEM IN ANY WAY. KEEP CHILDREN AND PETS AWAY FROM THE EDGES OF LAKES AND PONDS. 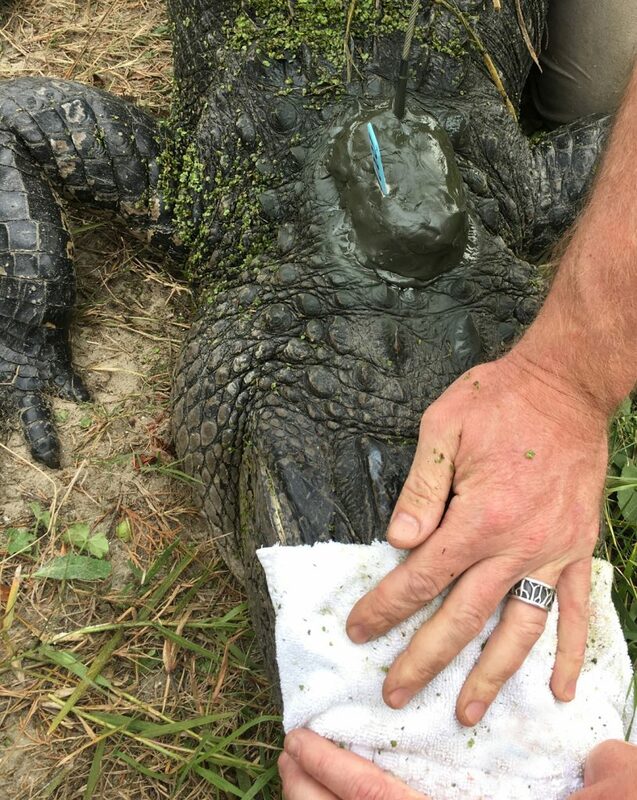 Six alligators (4 males and 2 females) were fitted with GPS tags in 2018. Do you think an alligator lives its whole life in one pond? 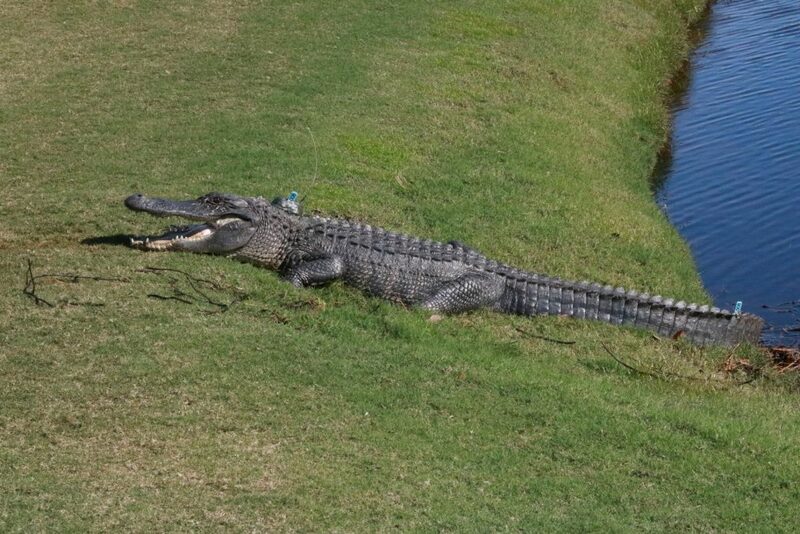 Visit the Kiawah Alligator GPS Location Map to track their movements and find out.